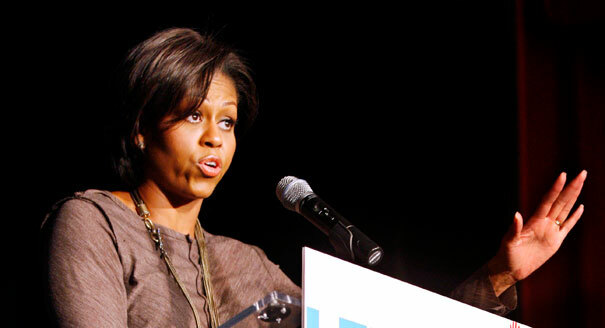 New recommendations target sugar intake, a major success for First Lady Michelle Obama. Nutrition labels will be getting their first makeover in 20 years. The emphasis will be on calories and sugar content. The goal is for people to think twice before deciding what to eat and drink. The calorie count will be in large print and the portion sizes will be adjusted to more closely mirror what Americans actually eat. First Lady Michelle Obama said that the current way of displaying nutritional information on food is “simply not acceptable.” She endorsed an administration effort that would prompt the food industry to more clearly define the amount of salt, fat, and sugar in food. During an announcement of the Food and Drug Administration’s forthcoming changes to current nutrition facts panels. The move will be the first major overhaul of nutrition information on food labels since they were required by the federal government in the early 1990s. The labels were largely based on nutrition data and eating habits from the 1970s and 1980s, before portion sizes greatly increased. Federal officials said that the changes were crucial to bring labels up to date with the average modern American diet. One big change in the new labels is that they will include a line for sugars that are added to food and manufactured. Many health experts argue that these substances have greatly contributed to the country’s obesity epidemic. Filed Under: Health, Top Story, U.S.